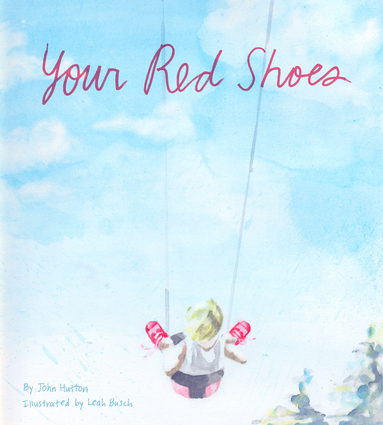 Winner of:2014 Moonbeam Children's Book Awards Gold Medal, Preschool Picture BookNominee:Foreword Reviews 2014 INDIEFAB Book of the Year, Picture BooksAn ode to growing up, this read-aloud book commemorates the first pair of shoes a child owns and the many memories created while they walk in them.I tied your red shoes for you today.Where will you go in them?How many steps will you take?So many since the first.Was it yesterday or long ago?A celebration of early childhood, this book highlights the many steps a toddler takes: from the initial wobbly ones and stopping in puddles to walking in the park and the all-too-soon day when that first, beloved pair of shoes no longer fit. The lush watercolors and rhythmic, evocative text document each proud moment, while reinforcing universal themes of independence, exploration, and unconditional love. John Hutton is a pediatrician, a children’s bookstore owner, and the author of the award-winning Baby Unplugged series. Leah Busch is an award-winning artist and illustrator. They previously collaborated on the book Sleep Baby, Safe and Snug. They both live in Cincinnati, Ohio.